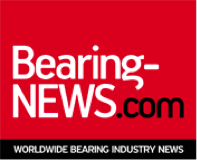 This Bearing Conference is organized by BearingEXPO in cooperation with BearingNEWS and PTC Asia (Deutsche Messe). Send an email to leslie@bearing-expo.com for your FREE entrance and participation! 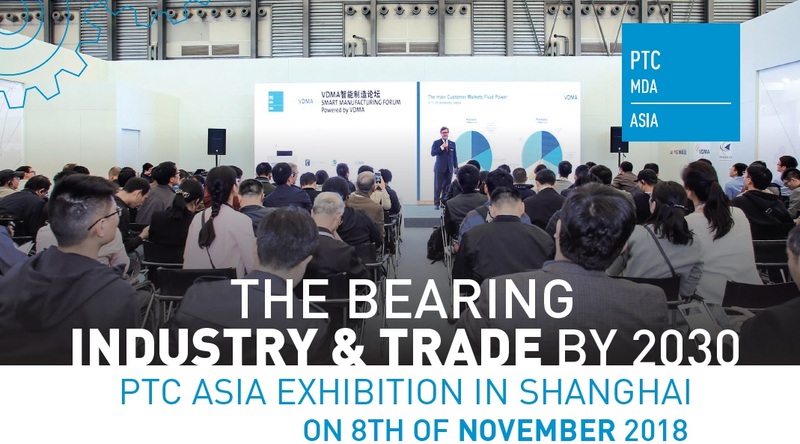 Shanghai, – October 03, 2018 – The next BearingEXPO conference will be presented on 8 November during the PTC Asia show in Shanghai, at the conference room in the bearing and power transmission Hall 2. Bearing Industry & Trade by 2030 presentation, How IIOT will optimize your bearing applications and Bearing Rout Cause Failure Analysis workshop will cover both the commercial and technical aspects for the bearing industry professionals. 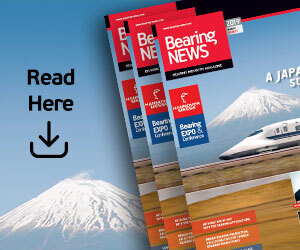 The seminar “The Bearing Industry and Trade by 2030” will be held by Kenan Özcan, editor-in-chief and founder of BearingNEWS magazine. 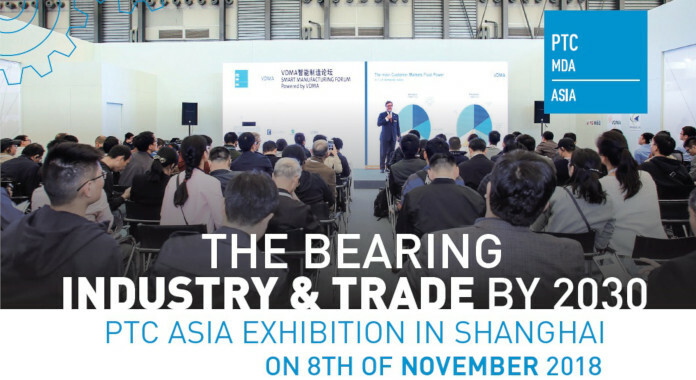 The presentation will focus on the current status of the Global bearing market, covering the manufacturing, distribution and the OEM, MRO applications aspects. Organizations are forced to expand their offered services, stay ahead with the digital transformation and maintain the pricing structure. 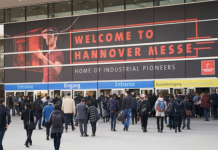 There are more intense changes in the manufacturing, distribution and application of bearings today than the past 30 years, where only the adapting organizations will succeed to transfer their brand and existence to the next generations. 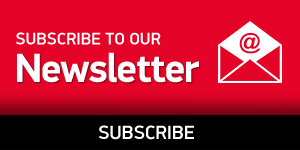 The current technological developments, changing market drivers and dynamics of the industry are resulting in a big switch in customer expectations. Bearing distributors and manufacturers are forced to expand their offered services, stay ahead with the digital transformation while maintaining the pricing structure. In his key note, Kenan Özcan will try to sketch the big picture for the future by analysing the past and defining the current status of the Global bearing industry in order to align it with opportunities in the future, during this interactive presentation. Further during the first part of the bearing conference Mr. Cheng Kai, Senior application engineer of UXG will highlight the steel mill application of UXG spherical roller bearings during a 30min. presentation. Mr. Roger Fei, President Regal Beloit China & Pacific Region will have his keynote address: “How IIOT will optimize your bearing applications”. The Industrial Internet Of Things is one of the most important challenges that will shape the future of the power transmission industry. Details and practical examples of these ongoing changes will be summarized by Mr. Roger Fei during his keynote. The “Bearing Rout Cause Failure Analysis” workshop will be presented workshop by Per Arnold Elgqvist, Bearing Doctor at Tribologia. The goal of the workshop is to emphasize the importance of Bearing failure root cause analysis as a tool to improve the efficiency of Maintenance: Identifying the root causes for the failures and determining the exact required corrective actions, in order to avoid further failures for the same cause will help maintenance to perform a precise repair and avoid waste of time and unnecessary use of spare parts. After the workshop, the participants will be able to describe the most common causes for bearing failures, in order to easier determine and understand the required corrective actions; and emphasize the importance of understanding the different bearing failure modes according to the ISO 15243. 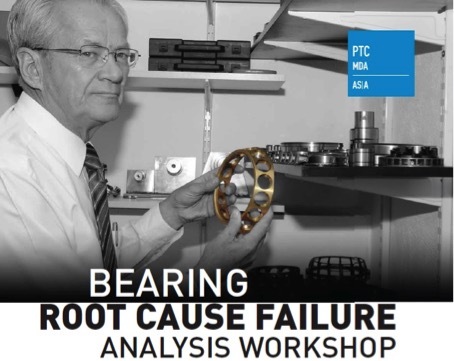 This workshop will also cover a simple and practical procedure on how to perform a bearing root cause failure analysis and some relevant success stories will be solved in an interactive way. The presentations will be simultaneously translated into Chinese language. 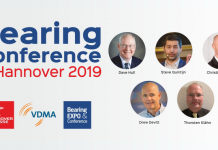 Please register your in advance at leslie@bearing-expo.com, since the seats are limited. You can check the participants list on the file below and send an email to leslie@bearing-expo.com if you would like to take part in our Match-Making program in order to meet and organize a meeting with the companies. The Power Transmission and Control show will take place from 6 to 9 November at the Shanghai New International Expo Centre. The event is an International trade fair for electrical and mechanical, power transmission, fluid power, machine parts, bearings and springs. Visit www.ptc-asia.com for your free entrance ticket.